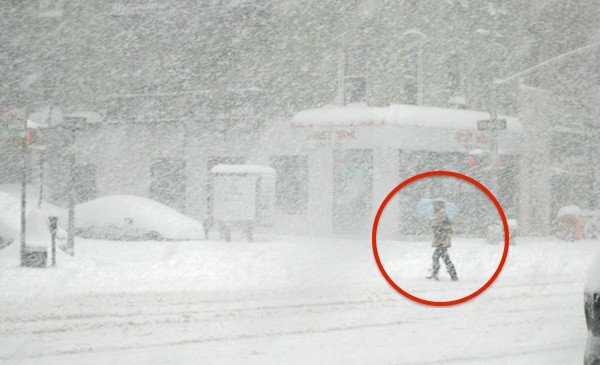 He Walked 10 Miles In A Snowstorm For An Interview, But He Never Expected This To Happen. Tears! This is a touching story of how one chance encounter between two strangers ended up changing one young man’s life! Restaurant owner Art Bouvier happened to be in his restaurant’s parking lot when he noticed 18-year-old Jhaqueil Reagan walking alone during a snowstorm. When Art asked what the young man was doing, he answered he was going to a job interview that turned out to be nearly 10 miles away. Art spotted Jhaqueil a little bit later still walking on the icy streets. It turns out Jhaqueil could not afford the bus, so he planned on walking the whole way in the hopes of getting the minimum-wage job. Jhaqueil’s determination made such an impression on Art that he decided to do something wonderful to help the young man out.